Sleeping pills aren’t only addictive. They can also affect your health in other ways as well. In 2011 the NHS filled 15.3 million prescriptions for sleeping pills in the UK. In the USA it is estimated that around 60 million prescriptions were filled. Sleeping pills should be a last resort both because they are habit forming and because they can affect your health in other ways as well. As with any drug, as the body gets used to sleeping pills, it requires an increasingly larger dose in order to achieve the desired reaction. A 2012 study has also shown that taking just 18 sleeping tablets a year may increase the risk of early mortality threefold. 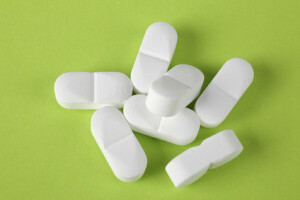 The same study shows that the regular intake of sleeping pills increases the risk of cancer by 35% (Kripke et al, 2012). When does a sleep disorder become a disease? If you suffer from insomnia for a brief period of time but usually sleep well and deeply and wake up feeling refreshed in the morning, don’t be alarmed. Sometimes a simple subliminal infection or temporary stress can cause this type of sleep disorder. However, if the insomnia lasts for a longer period of time and you only sleep reasonably well three nights a week or less, you may want to do something about it. If you are constantly tired during the day and need coffee to stay awake, even if you think you’ve slept well, we recommend looking into the source of your sleeplessness and fatigue.